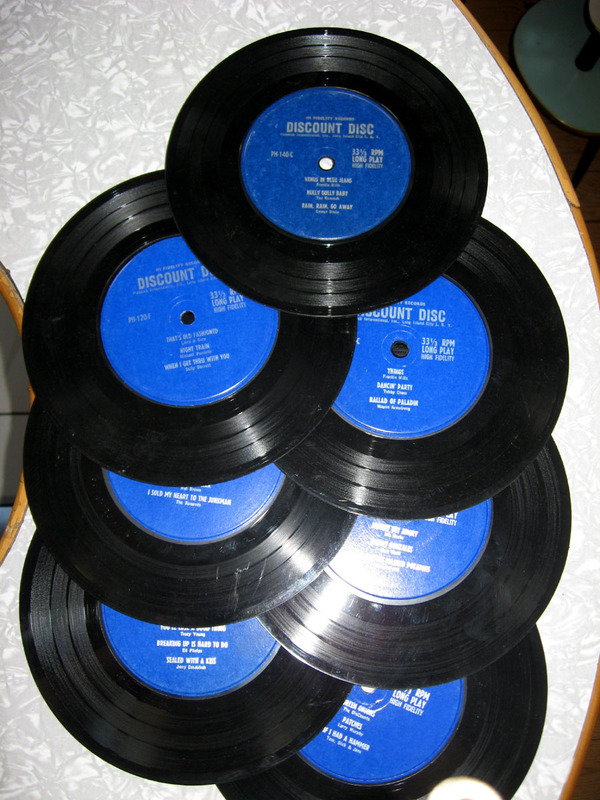 I bought close to 200 records on this trip, 180 45´s and 20 Lp´s. The most I´ve ever bought on a trip. The majority were 50 cents to 1 dollar. And because airlines let you take only one bag I had to carry most of them onto the plane. It was real work getting those records home. On the last day in Brattleboro the nice owner of In the Moment offered me another 50 records for 2 dollars that came with a record rack. I already had 150 and wasn´t sure about that, but then Julia gave in and I got them. Now I´m happy I did. 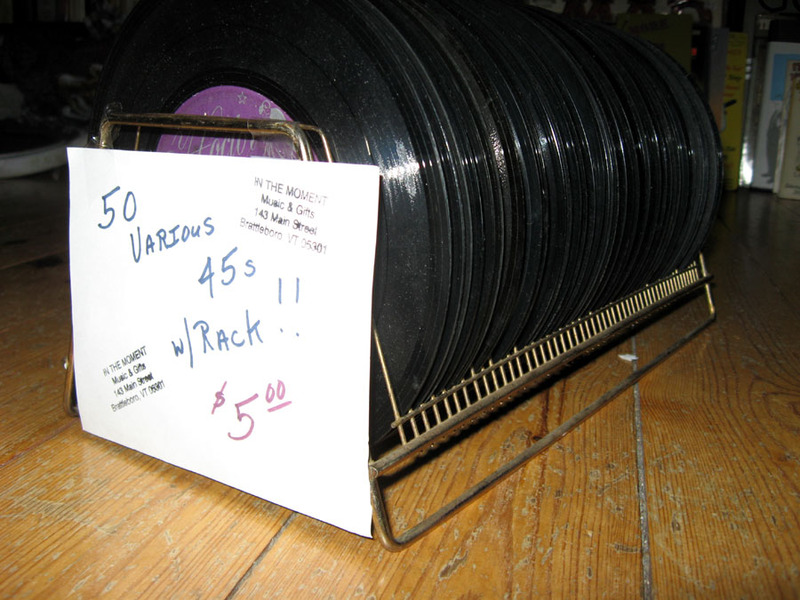 Also in this metal rack were seven Discount Disc 6-song EP´s, typical drugstore records. Not in the best shape, but for less than 5 cents a piece, I´m not complaining. That´s less than one cent for a song. Try to beat that iTunes! 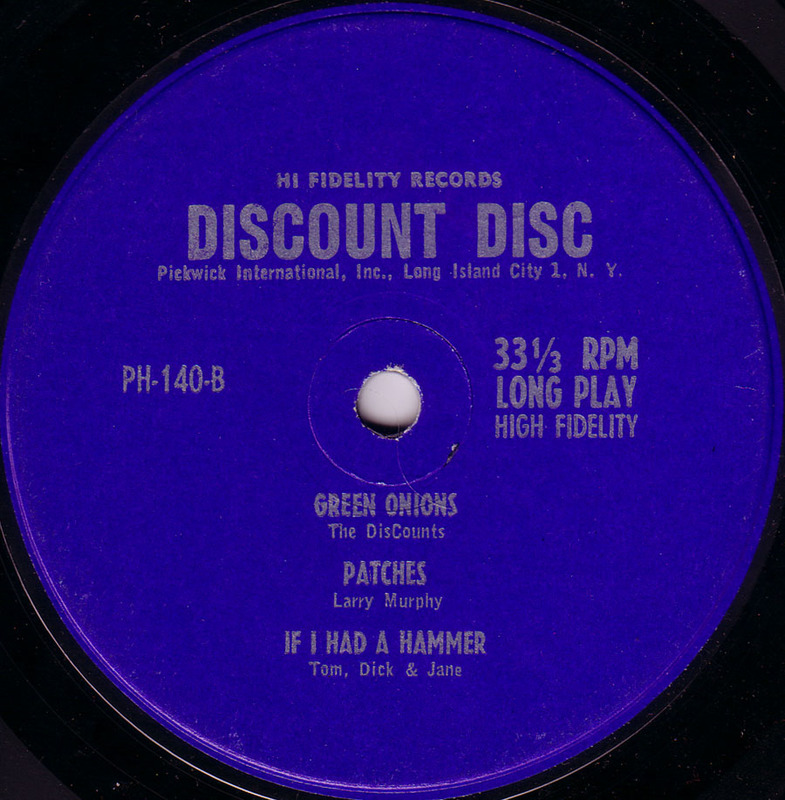 Discount Discs were manufactured by Pickwick International Records, the originators of budget records. Lou Reed got his start in the music-business, working as a staff songwriter for Pickwick. He didn´t write any of these though, because they´re all cover versions of hit songs. You will probably recognize most of them. 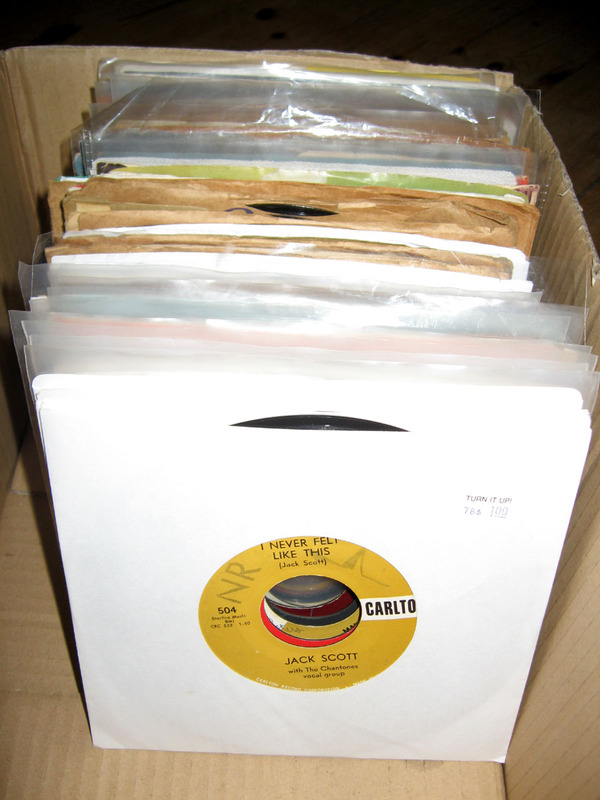 So, give these 45´s, that seem doomed to be discount records forever, a chance. The songs are great!